G. Bradley Rainer, a prominent and prolific Philadelphia lawyer, passed away on March 5, 2014 after a long battle with cancer. Brad devoted his practice to estate planning, trust and estate administration, and business transactional law and was a recognized expert in matters of legal ethics. Brad previously served as director of the Pennsylvania Bar Institute. He was a member and chair of the Professional Responsibility Committee and member and co-chair of the Professional Guidance Committee of the Philadelphia Bar Association. Brad was a long-time adjunct professor at Temple University James E. Beasley School of Law, where he conducted seminar courses in integrating trusts and estates law, business law and professional responsibility. 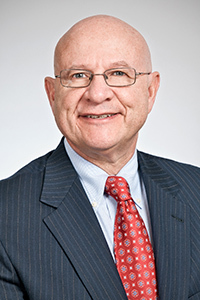 Brad frequently lectured on business and estate planning and legal ethics, including programs for the Pennsylvania Bar Institute (“PBI”), Central Atlantic School of Trust, The Fiduciary Education Foundation, Association of Corporate Patent Counsel, and a number of estate planning councils. In addition to his legal work, Brad devoted a significant amount of time to various community organizations. He served as President of the Board of Directors of the Joseph J. Peters Institute (“JJPI”) and is the immediate past chair of the Board of Trustees of Northern Children’s Services. Brad is survived by his wife, Joan Klamkin Rainer, son, Daniel Rainer, daughter, Julia Rainer, mother, Ruth Rainer, three sisters and two brothers. A memorial service is planned for Friday, March 21, at 2:00 p.m., at Friends Center, located at 1501 Cherry Street, Philadelphia. It was Brad’s wish that in lieu of flowers, donations made in his name be directed to the Capital Campaign for Northern Children’s Services (more information about Northern Children’s Services can be found at www.northernchildren.org).